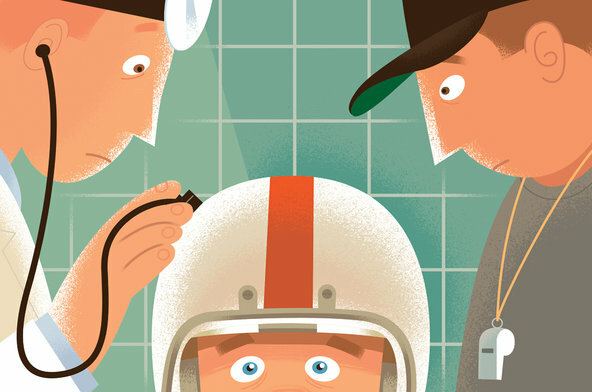 News Bite: The long held practice of complete rest for a youth concussion for weeks or months until fully asymptomatic has been overturned by a newly released study. Earlier physical activity and more exercise are associated with a lower risk of persistent post concussive symptoms (PPCS). More exercise, however, is not necessarily a return to full play. In my opinion, these findings suggest that the current practice of keeping children out of physical activity for weeks (or months) until children are fully asymptomatic should change,” lead investigator Roger Zemek, MD, FRCPC, clinical research chair in pediatric concussion, University of Ottawa, and director, clinical research unit, Children’s Hospital of Eastern Ontario, Canada, said. The study was published December 20 in JAMA. Rest has long been the cornerstone of concussion management, and pediatric guidelines recommend an initial period of physical rest following a concussion until symptoms resolve. However, “no clear evidence has determined that avoiding physical activity expedites recovery," the investigators note in their article. Early physical activity also appeared protective against PPCS. More exercise was associated with a lower risk for PPCS. Note, however, that allowing youth recovering from concussion to engage in physical activity is very different than allowing full return to play. Clinicians and parents should use common sense about allowing limited physical activity as tolerated and be cautious about resting a previously active athlete for prolonged periods."